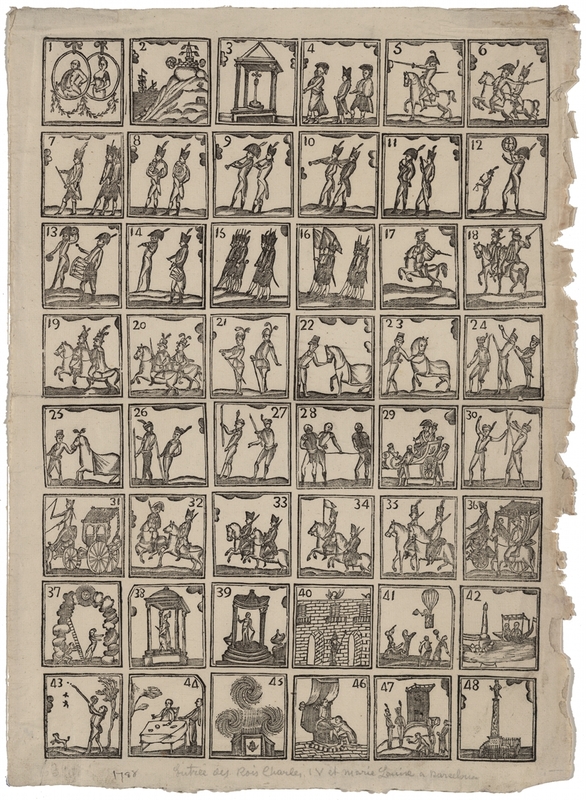 Woodcut print showing forty-eight numbered scenes relating to the life of Charles IV, King of Spain. In image number forty-one, a man in a balloon is waving a flag to commemorate Charles’ accession as King of Spain and his entrance into Barcelona in 1788. He would reign for 20 years.